In May 2013, I had the great pleasure of seeing a rare 35mm print of William Friedkin’s maligned 70′s flop, Sorcerer. It was a part of a Friedkin retrospective at Brooklyn’s BAMCinematek, where the man himself was appearing to do gracious Q+A’s and book signings. As it turned out, this rolling out of the old print ofSorcerer was the first step in a bid to restore and re-release the film, which premiered in its reincarnated form in August 2013 at Venice Film Festival and is set to be released on Blu-Ray for April of next year. Amid legal struggles with Paramount and Universal Studios over ownership of the film’s copyright, Friedkin finally won his lawsuit and was able to begin colour timing and digitally restoring the print. 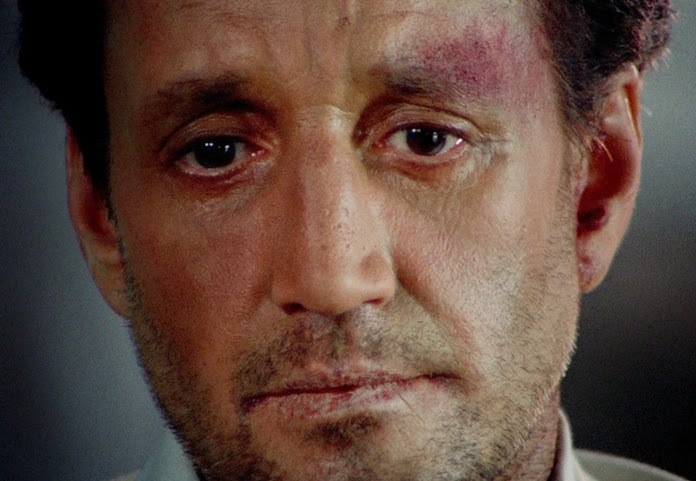 Sorcerer is a heaving, humid thriller based on Henri-Georges Clouzot’s 1951 French classic, The Wages of Fear. It drips with sweat and existential dread, selling itself as a straightforward thriller but containing a great deal in the way of alienation and stretches of unmotivated time. Friedkin poured much of his energies and frustration into his work, and later called it his ‘magnum opus’. Unfortunately for most any other film of that year, the Summer of 1977 was monopolised by the power of George Lucas’ soap-opera-in-space, Star Wars. It broke all records, reached a domestic gross of nearly $400 million, and remains the second-highest-grossing American film of all time; it has widely been seen as a landmark turning point for New Hollywood. As the late seventies gave way to the rise of Reagan’s New Right and the reinstallation of conservative values, the industry began to shift, as well. High-concept spectacle cinema, with its good v. evil narratives, ancillary markets and record-smashing international profits, had made the self-reflexive, left-leaning, and formally experimental films of the first half of the decade seem like risky, unprofitable ventures. Suddenly, successful auteurist directors from the period – Francis Ford Coppola, Martin Scorsese, and William Friedkin – found their aesthetic out of fashion with financiers and the audiences.